Troy Vogt joined Market Street Wealth Management in the fall of 2010. 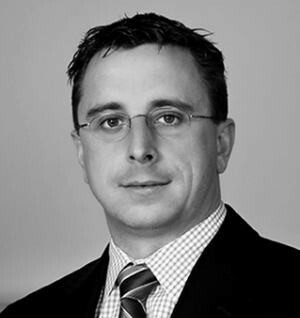 Prior to joining MSWM, Troy was a portfolio manager at First National Bank of Chester County. He worked in the bank’s trust department overseeing the management of client portfolios. During his tenure at the bank, Troy went through extensive education at the College for Financial Planning and the Pennsylvania Bankers Association School of Trust, Investment, and Wealth Management. He attained his Certified Financial Planner (CFP® and Certified Trust and Financial Advisor (CTFA) designations. He works closely with the other advisors at MSWM to provide sound portfolio recommendations and strives to create a memorable client experience for all of the firm’s clients. His planning emphasizes proper risk management through effective diversification of the portfolio, time horizon management, and goals based investing. Troy is very active within the community, he has served as President of the Board of Directors at the West Chester Senior Center and is currently a member of the Board’s Finance Committee. In addition, he has served the President, Treasurer, and Board Member of the Thorndale Rotary Club as well as Trustee and Treasurer of the West Chester Elks Lodge # 853.